Please Remember: December may be the end of the Real Estate year but it is no different to any other Period End. 1. On the first working day of the new calendar year, you are required to print your Audit Reports for the calendar year close of business. 2. These reports MUST be printed before entering any data for the New Year. 3. 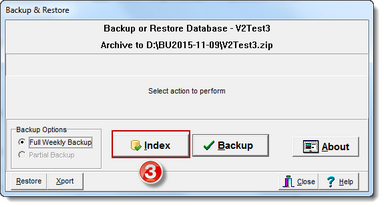 Make a BACKUP of your system onto your chosen media device and retain separately in case of any further enquiries from your auditor. 1. Arrange with your bank prior to 31 December to pick up a statement on your FIRST trading day of the new commencing year. 2. Or if you have access to ONLINE BANKING - Print a statement from the closing date of your last bank reconciliation to end of trading on 31 December. 3. This statement must contain all transactions continuing from the last statement you have reconciled to the end of trading on 31 December. 4. Referring to your bank statement; receipt all monies paid into the trust account up to and including the 31 December. 5. DO NOT Receipt monies that have been paid at the office or received in the mail. (as these items are not on the bank statement and will not be part of end of year). 6. You should then complete a Bank Reconciliation up to 31 December. 7. Complete and roll over the bank reconciliation. 8. Print another Trust Account Trial Balance, Lessor Trial Balance- Non-Zero Accounts and a Bond Listing which will include any transactions you entered from your 31 December bank statement. 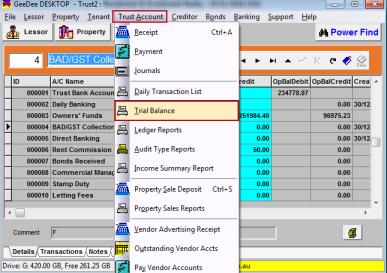 To print go to Trust Account /Drop down/ Trial Balance and print detailed reports. 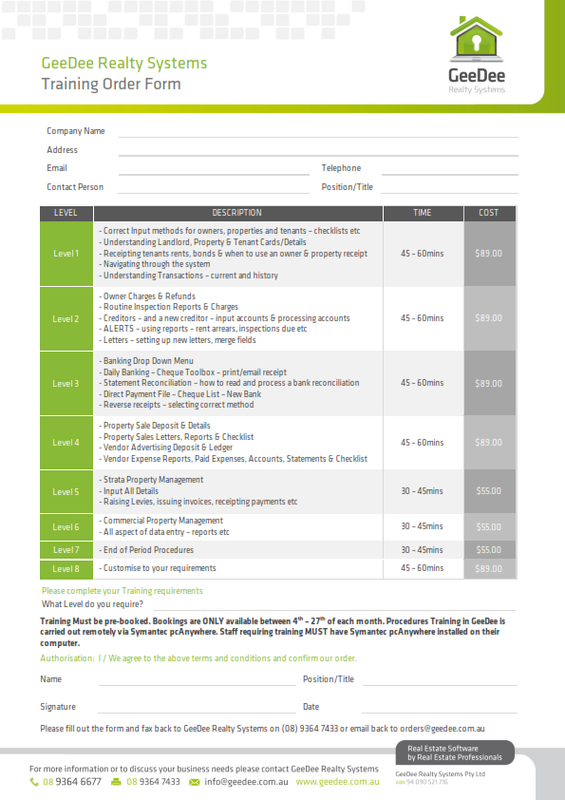 These reports should be kept with the Bank Reconciliation for your Auditor. Remember: YOU MUST NOT PROCESS ANY 2018 TRANSACTIONS UNTIL THIS IS DONE! 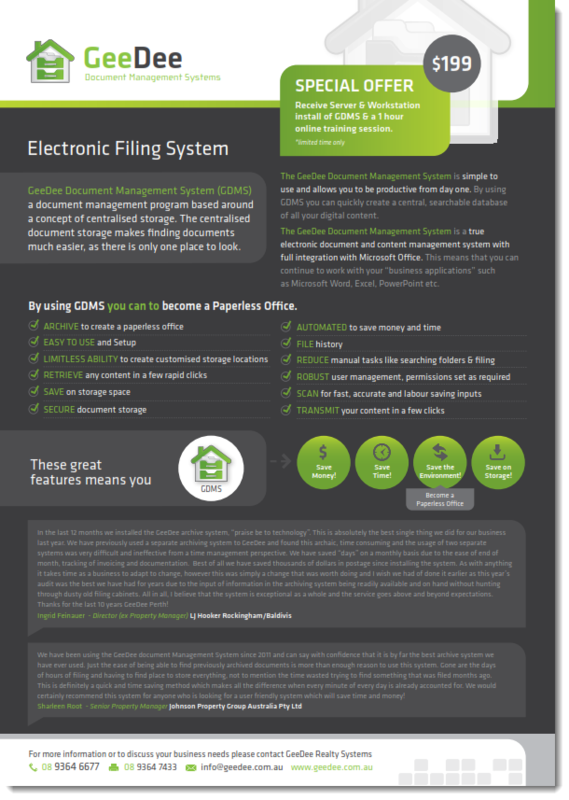 Once you have completed End or Year Procedures continue to receipt as usual. After running your Web Update you will be prompted to run a GeeDee Index. See Index steps below. Step 1. 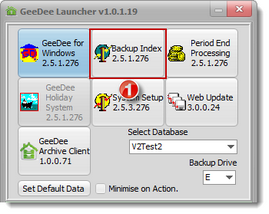 Launch GeeDee Backup Index. Step 2. 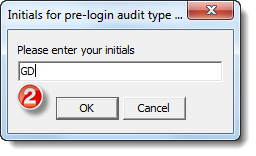 Enter initials and login.